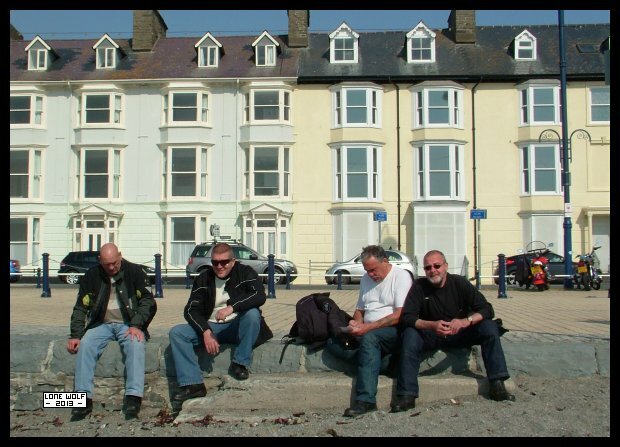 A bunch of "Idle Swines" sitting by the seaside. Monday saw me fitting an anti-wet-sumping valve to the B31 - the B33 has had one for years and it works well. Tuesday and it was over to the QE hospital on the B31 - they are pleased with how the hip is going and are going to sort out some more physiotherapy for me. Wednesday and the BRUB went to the seaside with the "Idle Swines" - click HERE for the video. Thursday and Friday saw the TCT getting a new crank oil seal and a pair of axle tube gaiters - thanks to Andy Vernon for his invaluable assistance. Sunday and it was the turn of the B33 to go out and play. "British Bike Sunday" at Clay Cross Motorcycles. Click HERE for a video of Sunday's happenings.